Six X Flight members stand by the wreck of the downed Rumpler. X Flight’s camp at Akaba. 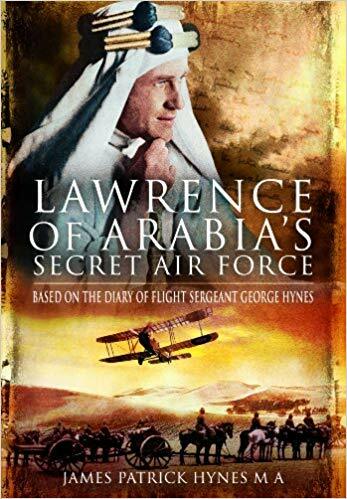 Much has been written by and about Lawrence of Arabia but little has ever been written about the handful of aircraft and personnel of X Flight, which was set up to give him and his Arab army close air support. The capture of the town of Akaba by Lawrence and the Arabs on 6 July 1917 enabled X Flight to set up its principal base there, from which flying operations were conducted and a succession of small advance landing grounds could be supplied with aircraft and skilled personnel. Akaba was the last port the Turks held on the Red Sea and its loss led the way to their ultimate defeat as did the £200,000 a month Lawrence was spending to encourage the Arabs to revolt against the Turks. Lawrence’s personality was charismatic but so too was the gold which Britain allowed him to distribute! Early in the conflict Lawrence asked for air support and he got it from both No. 1 Squadron of the Australian Air Force and the Royal Flying Corps. Dedicated help was always available to him throughout the campaign from 14 Squadron of the Royal Flying Corps between 3 February 1915 and 4 February 1919 with its HQ first in Ismailia then Deir el Belah, mid-1916, and thence Junction Station in 1917. 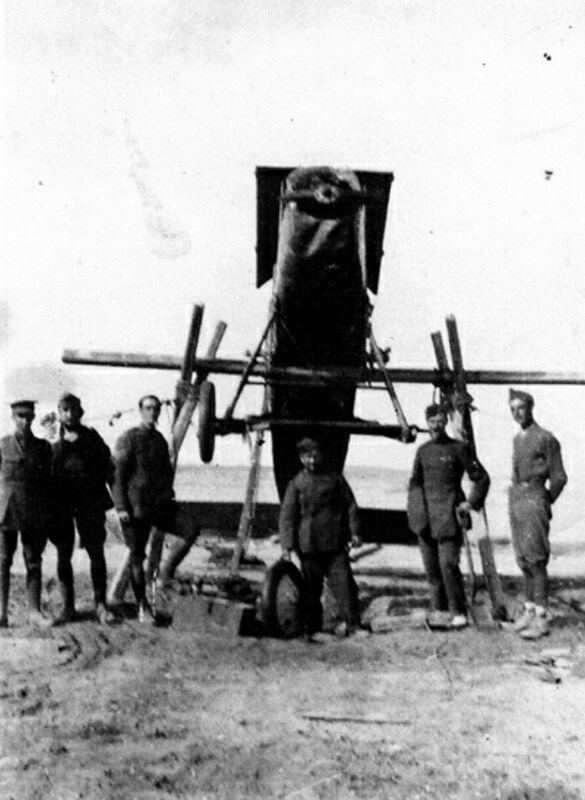 Close support was provided by a detachment of C Flight in the Hejaz from December 1916 to August 1917, in its raid on the Hejaz railway at Ma’an from Sinai in August 1917. But the closest support of all, for him and his Arab allies, was provided by the secret X Flight with its aircraft, the Tiyaras, the ‘female flying things’ which so impressed the Bedouin. Formed at Shoreham on 3 February 1915, No. 14 Squadron, commanded by Major G. B. Stopford, had sailed out from England to Egypt on the liner, SS Anchises on 7 November 1915. Although some sources give SS Anchises as the transport vessel, an intriguing note by George Hynes gives an SS Hunsgrove (commandeered from the Germans and previously called the SS Lorenzo) as the ship which set out with 14 Squadron and full equipment for ‘an unknown destination’ (the Dardanelles) but was diverted from Malta to Egypt instead. He claimed that during the voyage the crew successfully fought off a U-boat attack using Lewis guns and four rifles! There were a number of former German vessels commandeered in Suez at the beginning of the war and all were renamed, all having the prefix ‘Hun’ (some naval or Whitehall jest possibly) when put into service as British vessels. Among such vessels were SS Huntsvale (formerly Barenfels); Huntsend (formerly Lutzow); Hunsbrook (Annaberg); Huntsfall (Goslar); Huntsmoor (Rostock); and HMT Huntsgreen (Derflinger). 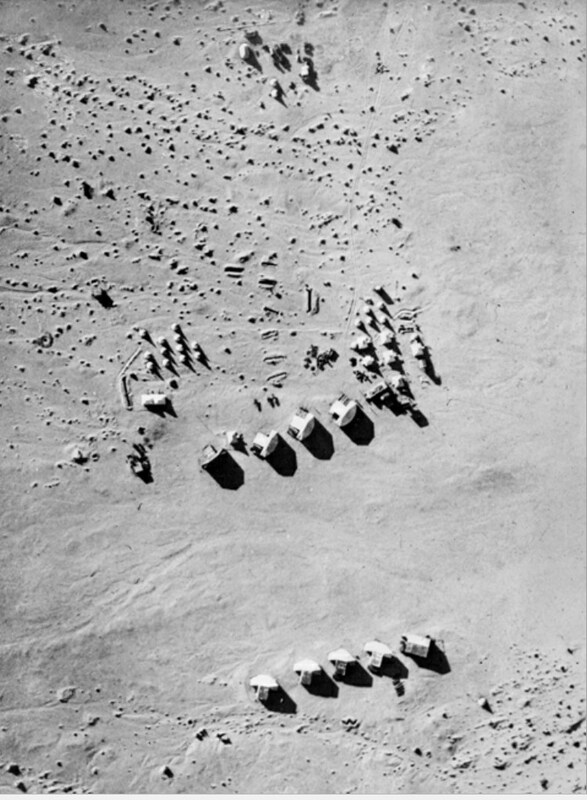 Flights were established in Kantara and Ismailia before Christmas and by then a detachment was also operating in the western desert of Egypt participating in the Battle of Mersa Matruh on Christmas Day 1915. I do know that Geoffrey Salmond had a hard time building up the Middle East from our first Squadron, No. 14, and our brotherly squadron, No. 1 Australian on the front line…. During the early years of the war in the Middle East, General Sir Archibald Murray had led the Egyptian Expeditionary Force (EEF). His forces had pushed across the Sinai constructing railway and freshwater lines from the Suez Canal to support operations on the southern edge of Palestine, south of Gaza. Under his direction, two attempts were made to capture Gaza: the First Battle of Gaza on 26 March and the Second Battle of Gaza on 19 April. Both attempts were embarrassing failures so the War Office replaced Murray on 28 June 1917 with General Allenby who saw the war in the Middle East through to the end. Air support for Allenby’s ground forces was placed in the care of Brigadier General A. E. Borton, in December 1917, when he took command of the Palestine Brigade comprising two wings: the 5th Wing and the 40th Army Wing. The Counter-Air and interdiction roles were carried out by 40 Wing, while 5th Wing squadrons were mainly involved with tactical reconnaissance and artillery direction whilst also taking part in bombing raids against Ottoman positions. By mid-summer 1918, the Brigade also had a balloon company, an engine repair depot and an aircraft park and depot. One solitary Handley Page O/400 was added to the strength. The Germans and the Turks with their Rumpler and Fokker aircraft, superior in design and performance, had exercised air superiority in the Levant so Allenby set out to challenge that by increasing the number and quality of the British machines. It was a slow process and the RFC gained the upper hand by the sheer dedication and determination of the pilots and ground staff working with aircraft which needed a lot of ‘make do and mend’. The enemy comprised the Turkish Fourth Army, commanded by the German General Friedrich Freiherr Kress von Kressenstein defending Palestine, while in Mesopotamia the main Turkish force was commanded by another German, General Erich von Falkenhayn, who was attempting to recapture Baghdad from the British. Although Turkish troops had won several victories against the British, their morale was poor because of severe shortages of food for both animals and men, ammunition and transport. Many deserted and eventually they lost to the British and Empire armies together with Feisal and his Arabs. The tactically brilliant capture of Akaba by Lawrence and the Arabs on 6 July 1917 was a significant day for X Flight because for the rest of the war the RFC landing ground there was the Flight’s centre of operations. A number of covert advanced landing grounds were set up out of Akaba and George Hynes spent much of his war in them. In the Third Battle of Gaza, fought between 31 October and 7 November 1917 in southern Palestine, British Empire forces under Allenby broke the Turkish Gaza–Beersheba line. Australian Light Horse captured the town of Beersheba on the first day and from then on the war went badly for the Turks. During the conflict, army commanders and air commanders learned how to work together fighting desert battles in which flying machines played an increasingly important role, not only in photographic reconnaissance in communication but also in action as weapons of war. Conditions under which men and machines worked in those deserts were very trying indeed. The hazards faced by airmen of the RFC back in England were bad enough but No. 14 Squadron had to face them in the unforgiving deserts of Egypt and Arabia. The provision of weapons such as machine guns, bombs, hand grenades, darts, &c, fell under the able hand of the Master-General of the Ordnance; and the Committee are unable to find any delay on the part of the Royal Flying Corps in making use of any of these, or in providing mountings, racks, &c, for them, within a reasonable time of their being allotted to the Corps. The document went on to say that experiments had to be made to find the most suitable way of carrying the several war requirements in aeroplanes. The pilots and ground crews of X Flight of necessity carried out many such experiments in the harsh environments of the desert. Fortunately they suffered no casualties as a result. Another recommendation that pilots should be provided with proper maps, compasses or altimeters was impossible in Arabia as there were none. They did not exist. X Flight had to make their own maps and the maps for the ground forces. In fact their principal duty was flying daily reconnaissance taking thousands of photographs of enemy-held territory. The German and Turkish aircraft in their turn were doing exactly the same thing. During the course of the war British and German aircrews took tens of thousands of photographs between them. The huge contrasts between high day and low night temperatures in Arabia made aeroplane maintenance a constant problem as woodwork shrank and warped. Machines had to be constantly stripped down and serviced. Spares and replacement parts, never plentiful, were often found to be useless. Fortunately X Flight’s machines, fitted with 90-hp Royal Aircraft Factory air-cooled engines, gave comparatively little trouble but the water-cooled Hispano-Suiza and Beardmores boiled water away. Oils sometimes became so hot they were rendered useless. Although the RFC’s principal duties lay in just that, flying, there in the deserts, they had to make regular and constant use of motorised transport together with camels, horses and mules. The ubiquitous Crossley tenders fitted with double wheels were used so often that the RFC might aptly have been called the Royal Flying and Motoring Corps! Air Mechanic George spent his war repairing and maintaining some second rate aircraft which X Flight had to put up with during its secret operations in the desert wastes. Of course he was devoted to engineering and took pride in his skills with those early flying machines but he was also fascinated by the horses and camels which were used so skilfully by the Arabs who lived in those deserts. The expression, ‘knights of the air’ as applied to combat pilots has become a journalistic cliché but it was an apt metaphor for the fliers in the deserts of Arabia. Medieval knights, almost exclusively the sons of nobility, were trained to make gallant use of their weapons on the field of combat. Strict codes of conduct and chivalry were expected of them and captive knights were to be treated well, ransomed and not insulted or killed. Similar rules were followed in the deserts of Arabia. Captive officer pilots were treated well by captor officers who were ready to ‘buy’ prisoners from the Bedouin whose rules of chivalry were not the same! Fliers wisely carried gold pieces with them to pay the Arabs to hand them over into care. If then the pilots were the knights, the mechanics were the squires. The mechanics kept the knights’ weapons in good order, handing them over to the knights as they went into battle and repairing them when damaged in combat. Like the knights of old, the pilots were from the top of the social hierarchy, the products of expensive schools and formal education whereas the mechanics, the squires, were from the artisan classes, the craftsmen. Perhaps within that usage there lay a residual memory of being ‘on’ a horse, because one does not ride ‘in’ a horse. Of course many early RFC pilots had first been cavalry officers! Occasionally the mechanics like squires became knights themselves but even when they became ‘very perfect gentle knights’ like Chaucer’s hero they were sometimes ostracised because they had risen from the wrong social class. The remarkable air ace James McCudden VC, with fifty-seven victories, who started his RFC career as a mechanic was reportedly turned down for command of No. 85 Squadron RAF because of his lack of a public-school education!